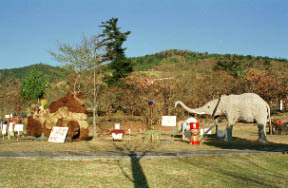 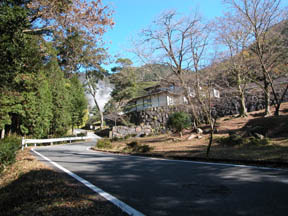 The hot spring of the isolated lodging house at the foot of a kurinodake and the smoke of a Hachiman-Jigoku can be seen. 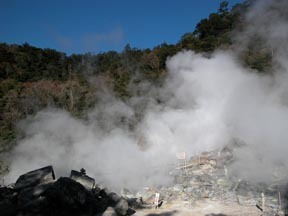 They are an emit Hachiman-Jigoku and an in no time from a hot spring about a frightful clouds of volcanic steam. 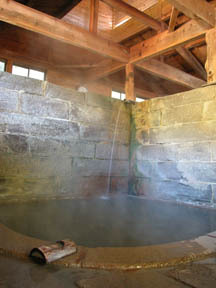 A nansyukan, hot water of a bamboo, Dollo hot water of a new alum melanterite. 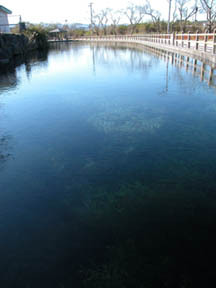 The foot of a kurinodake, 100th elections of brand-name-spring-water "round pond" gush 200,000 cubic meters of one day.